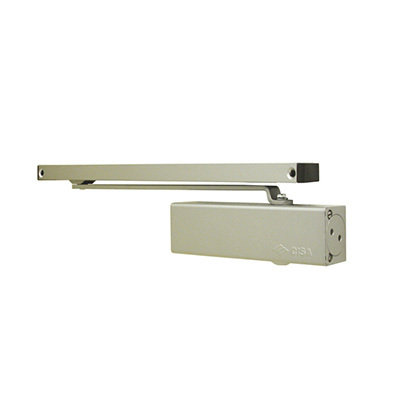 Door Closers are installed based on application requirements. Door closers are required by LAW for all fire emergency escape doors. The main deciding factors could be aesthetics, door dimensions, door weight, adjustment options, closing force rating and traffic volume. CISA addresses these and other factors with the range on offer with applicable EN 1154. Door closers must be chosen based on the CE certification factors required for the application. The CORRECT INSTALLATION will ensure proper operation and satisfied customers.